The Chocolate Suede Drapes and Bandera Valance feature Chocolate Faux Suede Drapes that have a rod pocket construction. 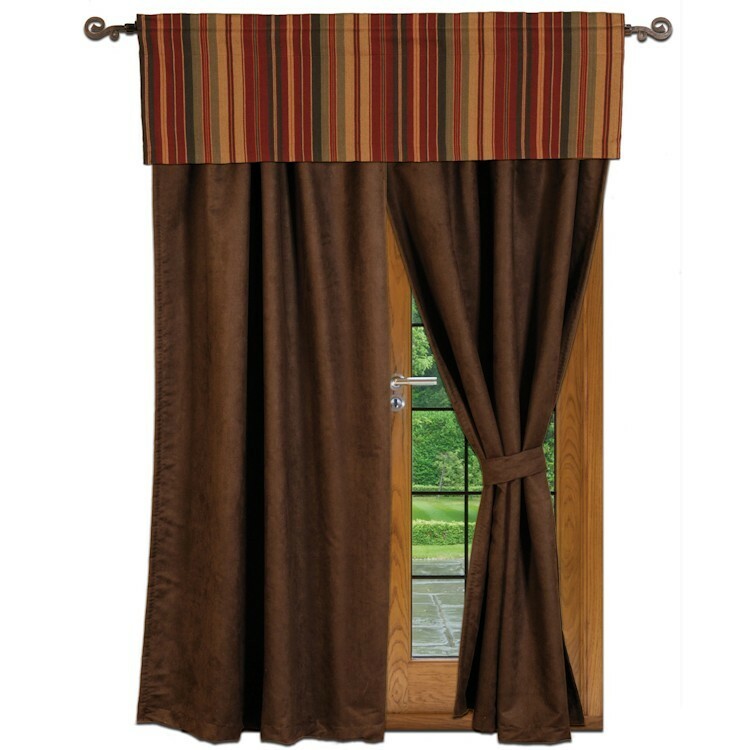 The Bandera Valance features varying stripes of dark red, dark chocolate brown and tan with touches of sage green and orange. This rod pocket valance is designed to hang flat.